The easiest trick (or treat!) 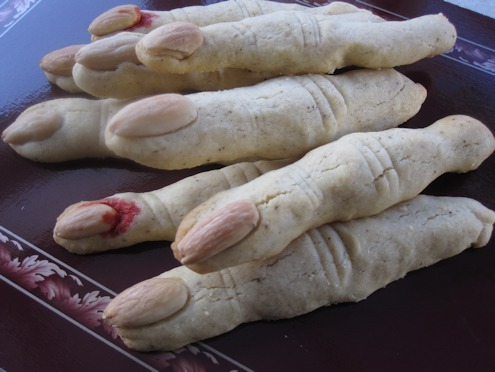 for Halloween. 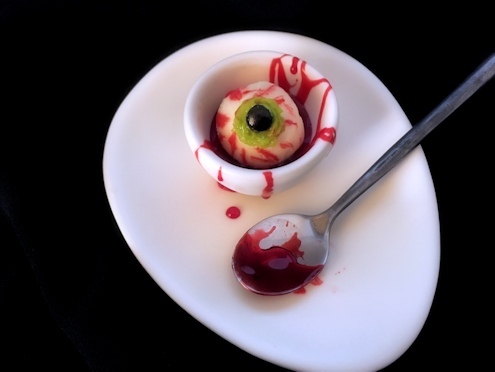 Need slime to make gruesome drinks or to serve your chocolate eyeballs in? It couldn't me simpler. 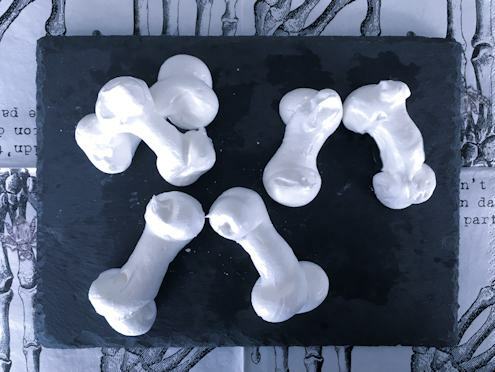 Just add food coloring to corn syrup - and then drizzle it around glasses you're serving spooky drinks in or put in a bowl to dip skeleton bones biscuits in... Witchy!